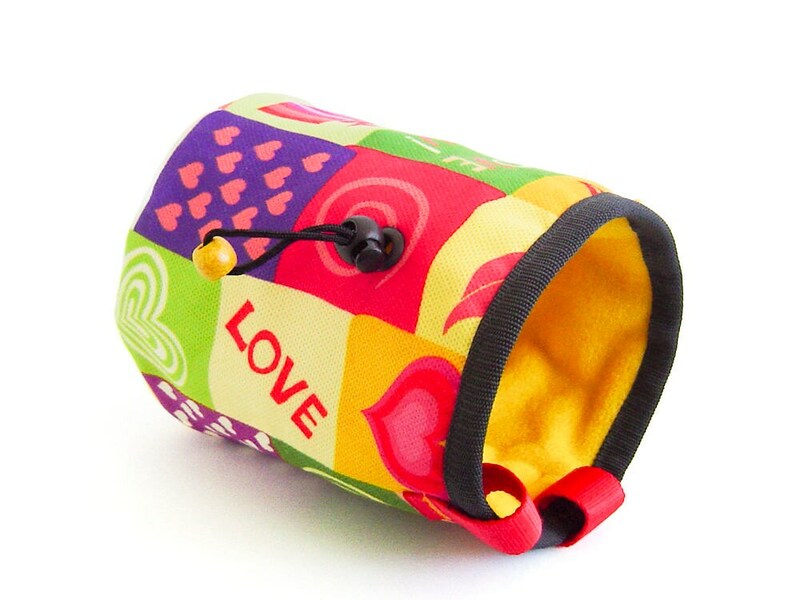 This is bouldering chalk bag XL size, handmade by us as bouldering chalk bucket in love theme. 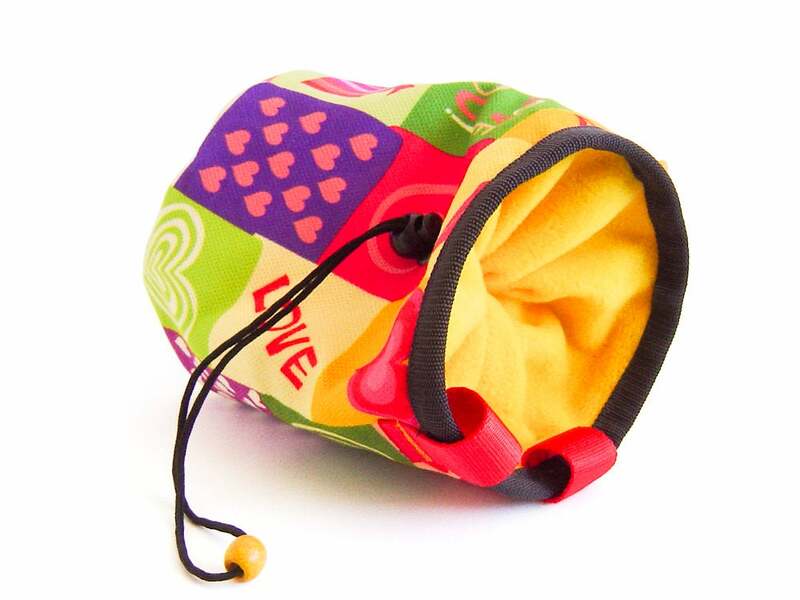 This large bouldering chalk bag is best for gym and rock climbing, for out and indoor climb. 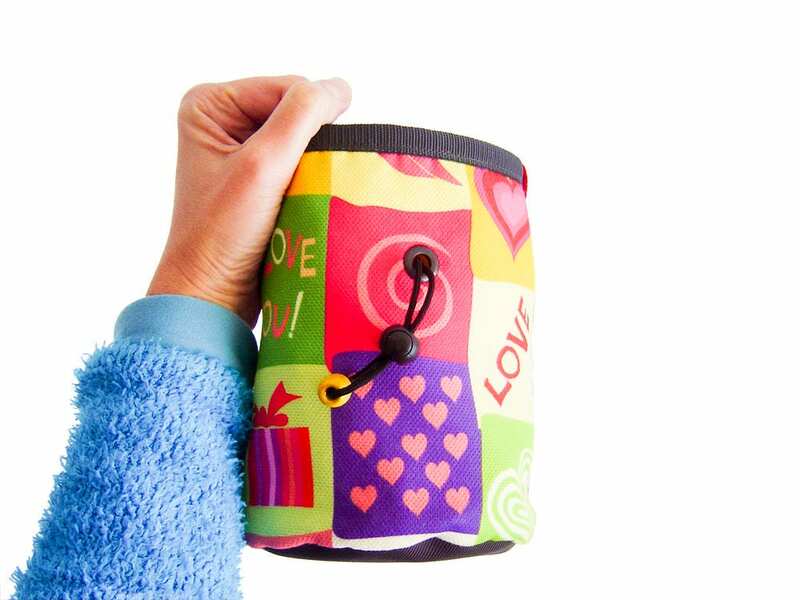 It is nice for big hands and for every rock climber, that loves large volumes chalk buckets. * 16. 5 cm (6 1/2") height. * 12.5 cm (4 15/16") diameter. * 77 grams (2.71 oz). 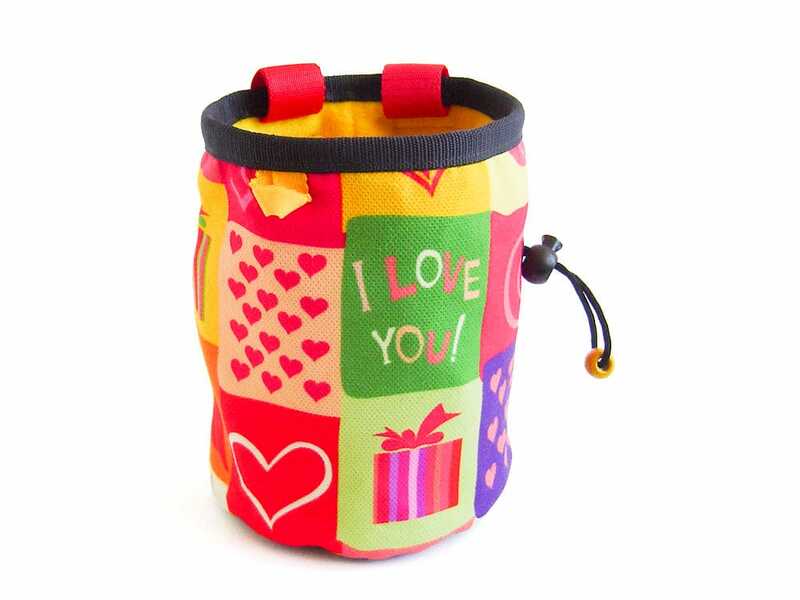 We sew this bouldering chalk bucket in cylinder shape. 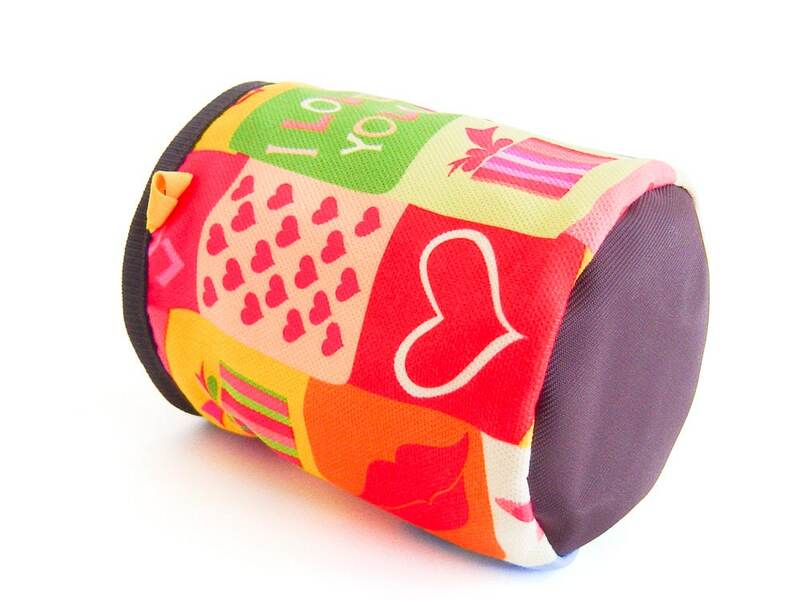 It is with hearts patterned colorful fabric. 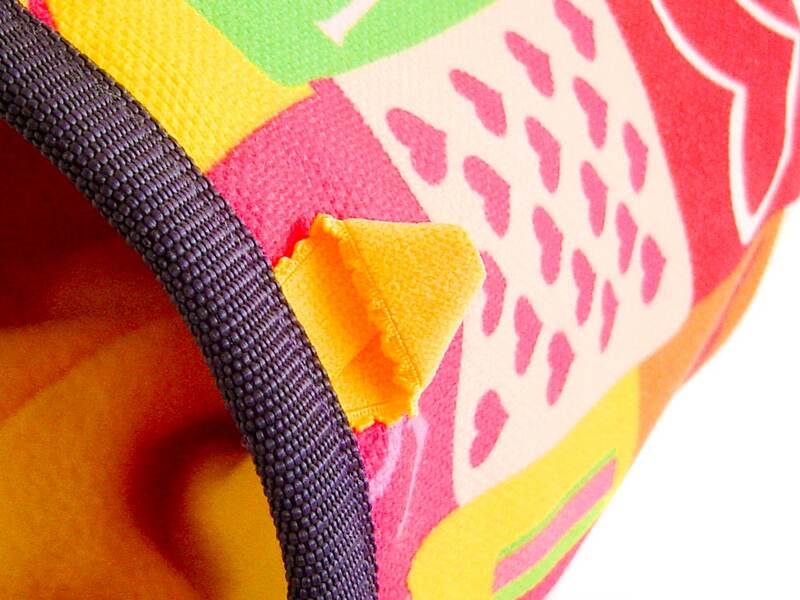 The inner is soft yellow fleece. There is a waterproof membrane layer between these 2 layers. 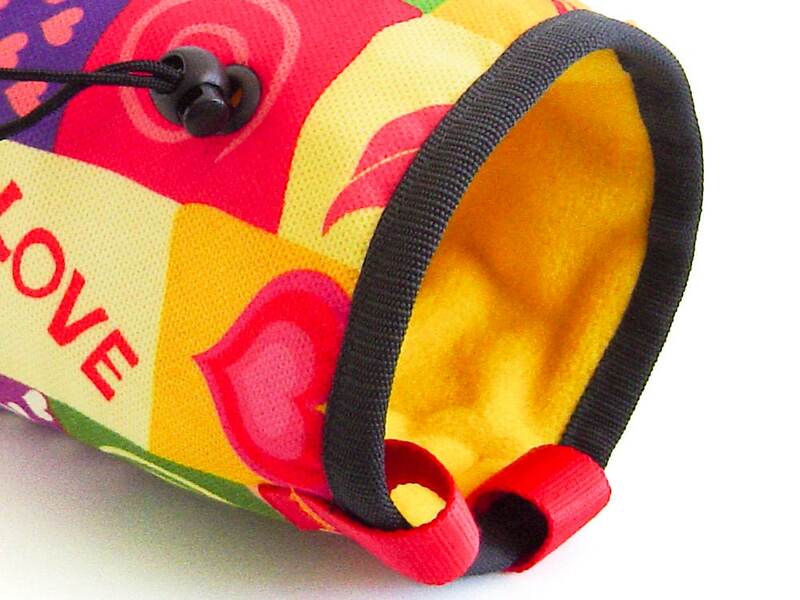 If you order you will get the large bouldering chalk bag, that is pictured.